Esmée La Fleur | Eat Meat. Drink Water. I still feel pretty good about the protein recommendations in those articles, though it does seem that some people do indeed feel better on more protein than I discussed. On average, 100-150 gm of protein seems to be about right for most people, but I know that some do feel better with more like 200 gm a day. So, keep that in mind when you read those posts. 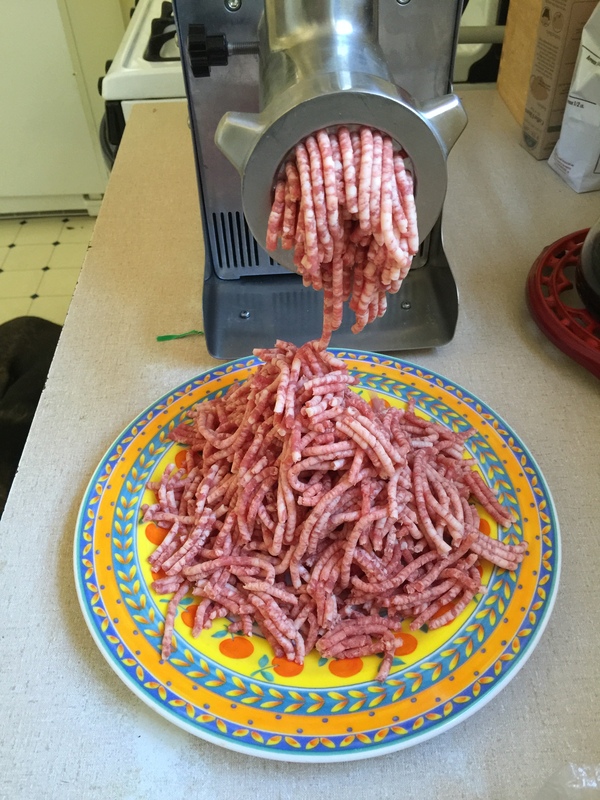 The key thing to understand is that you want to be careful to not eat too little protein on a Zero Carb diet. Since you are not eating any carbohydrates on a Zero Carb diet, you can eat more protein than you can on a Low Carb diet. There is a lot of fear-mongering going on in regards to eating too much protein, and I (and many others in the Low Carb-Zero Carb-Ketogenic community) feel that this advice is very misguided. You want to eat as much protein as your particular metabolic state will accommodate without raising fasting blood glucose. For some who are diabetic or very insulin resistant, that may only be 80 gm of protein per day, but if you have a healthy metabolism, you will likely be able to eat twice that amount without any negative repercussions. Okay, so with that prelude, the subject I really want to address here is fat. 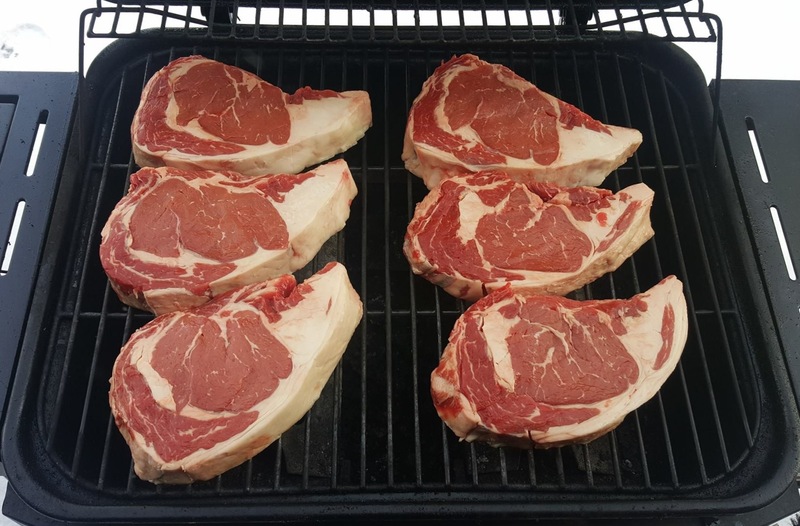 In light of some recent discussions we have been having in our Facebook group Principia Carnivora, the recommendations for fat intake that I made in those posts on protein needs to be revisited, as they are geared more towards weight maintenance levels of fat rather than weight loss. As mentioned in the above articles on protein, Stefansson ate a 2:1 ratio of fat to protein, i.e. 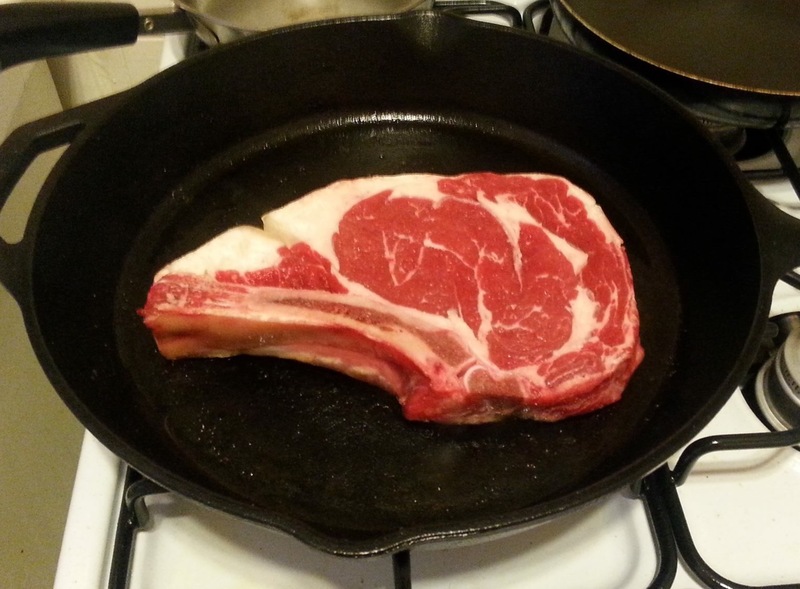 2 gm of fat for every gm of protein or 120 gm of protein to 240 gm of fat on average. Many people who adopt a Zero Carb diet are obese and have decided to try this way of eating in order to lose unwanted excess body fat. 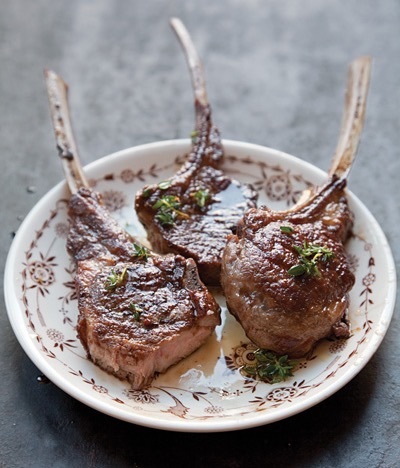 Many also come from the Ketogenic diet world where they have been eating lower protein and higher fat (both in terms of total grams and percentages), and then they try to apply that knowledge and experience to their new Zero Carb diet. But the result is that they often do not lose any of their excess body fat which is, understandably, very frustrating for them. 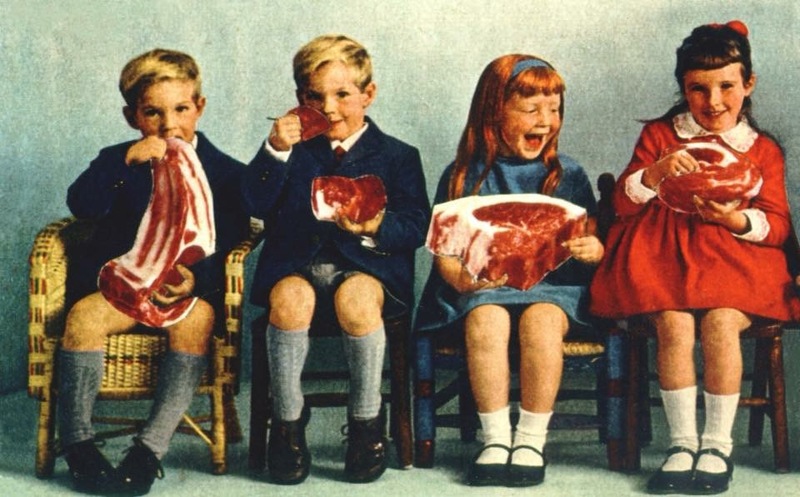 The basic advice that has been give by all of the successful long term practioners of a Zero Carb diet is to simply eat fatty meat. Don’t make it more complicated than it is. In other words, don’t try to manipulate your macronutrient ratios to meet the Ketogenic standards you have been following (that were no longer working for you anyways and which is why you ended up deciding to try Zero Carb in the first place!). What this means is: don’t limit your meat (lean portion) in order to restrict your total protein consumption and add extra fat in the form of butter or whatever to create a “perfect” Ketogenic ratio of protein to fat. You also do not want to drink so-called “fat bombs” like coffee with butter, coconut oil, etc. added to it. All this does is prevent you from burning your own body fat for energy and impede weight loss. You only need to do this sort of thing if you have epilepsy or cancer or some other serious life-threatening illness. If you have a lot of body fat to lose, you want to encourage endogenous fat-burning. Eating too much dietary fat prevents this. Drs. Stephen Phinney and Jeff Volek have discussed this in their excellent book The Art and Science of Low Carbohydrate Living, as well as many of their video lecture presentations widely available on YouTube. Therefore, the general rule of thumb is to eat about 2.0 gm of protein per 1 kg of lean body mass, and then to add as much fat as you need to provide satiety from your meal. This usually works out to around 30% of calories from protein and 70% of calories from fat. 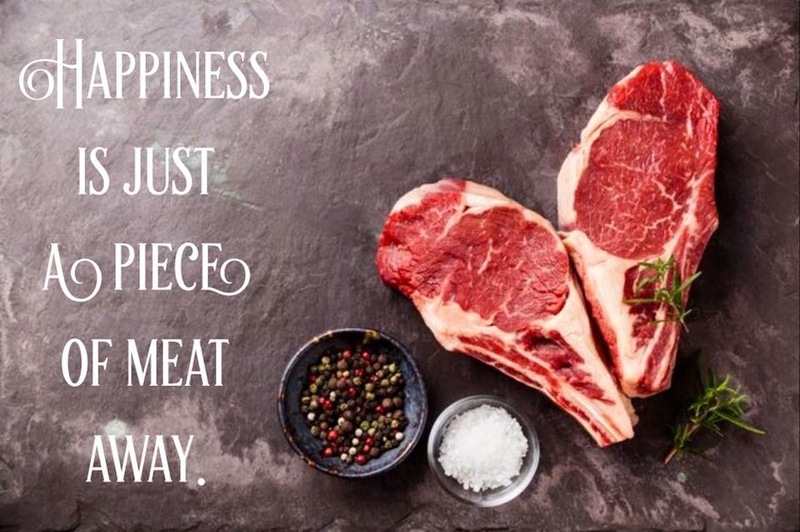 Now, interestingly enough, that is almost exactly what you will find in a piece of fatty beef like chuck roast or ribeye or New York strip or 80/20 ground beef (if all fat that that is cooked out is eaten and not discarded). This also equals a 1:1 ratio of fat to protein in grams, i.e. one gram of fat to one gram of protein. 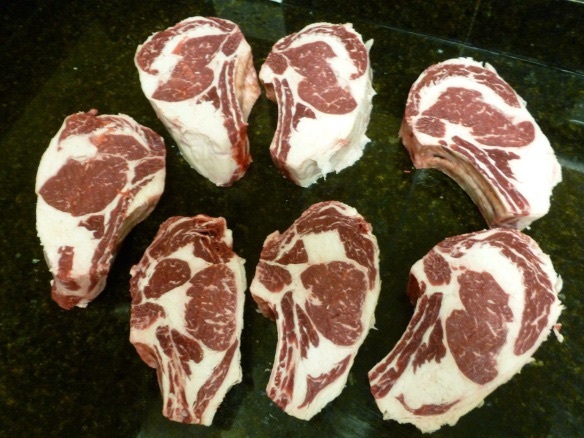 For example, 100 gm of fat to 100 gm of protein. This is basically perfect for facilitating the loss of excess body fat in someone who is obese. 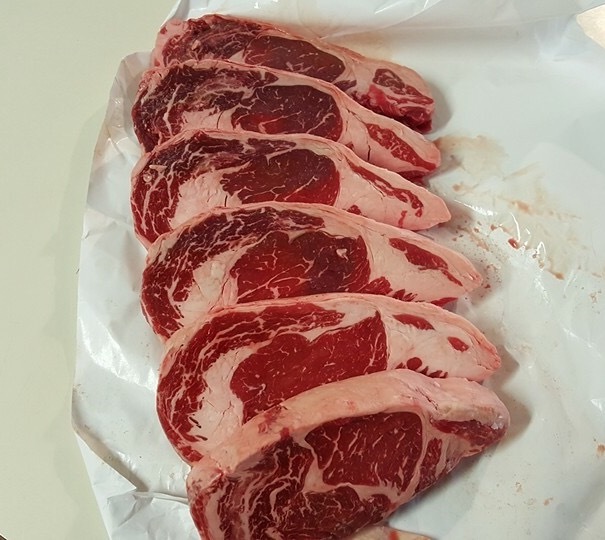 So, the tried and true and very simple recommendations of experienced long term Zero Carb practitioners to eat fatty meat to satiety whenever hungry works for a reason! Now, for those of you, like myself, who are not obese and do not need to lose excess body fat, might be wondering what This means for you. If a person starts out on Zero Carb at at a normal healthy body weight, or once a person reaches their ideal body weight after losing their excess fat according to above recommendations, it is then necessary to add more fat to your Zero Carb diet. He cooks up a steak and eats the fat first until he feels satiated, then he eats as much of the lean as he feels like eating. 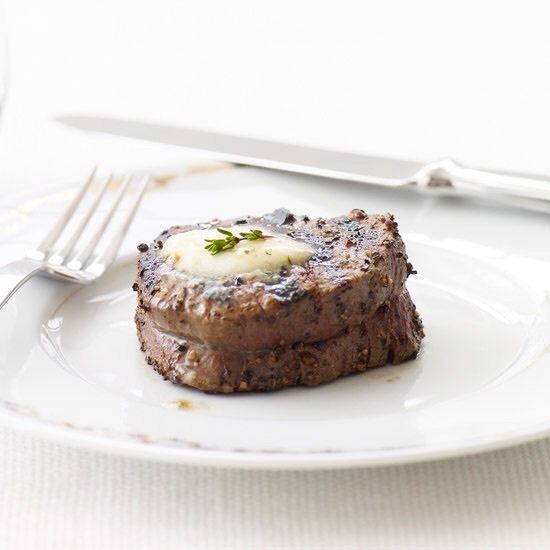 If there is not enough fat on the steak to reach his fat satiety level, he will then eat butter straight until he feels like he receives a “stop” signal. He eats an average of 2 lbs of steak per day and weighs 135 lbs. He says that no matter how much he eats, he never gains body fat. If you are following a Zero Carb diet and are struggling to lose weight, I hope this explanation has helped to shed some light on how you can adjust your current diet to find better success. Finding the right fat to protein ratio is a bit individual, but this is a great place to start. If you do this and find that you are still not losing the unwanted body fat, you may need to lower the fat a little bit more. We have a few women in our group who have found that a 1:2 ratio of fat to protein was necessary for them to start dropping weight. This would mean eating only one gram of fat for every 2 grams of protein, or say 100 gm of fat to 200 gm of protein. While this is not the norm, I share this story to demonstrate that all bodies are not created equal and there is not a one-size-fits-all approach to Zero carb and successful weight loss. 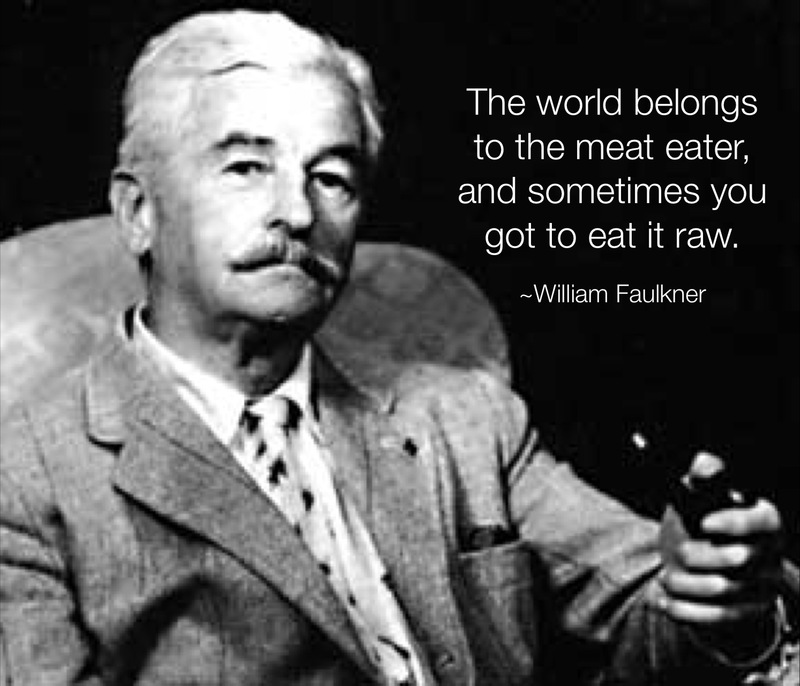 But it is best not to over think it too much and just start with the basic recommendations of those who have been following a Zero Carb diet for many years and start with good ‘ole fatty steaks. Eat when hungry. Eat to satiety. Wait until you get hungry again and repeat. And most of all…Don’t worry. Be happy! ***Special thanks to all of the long term Zero Carbs peeps for their consistent message and the interviews they have so graciously provided for me to share. Thank you also to Jamie Moskowitz, Jeff Cyr, Raymund Edwards, and Mike Juiluan from the Low Carb Ketogenic world for helping me to grasp this issue at at a deeper level. I think I am finally getting it! And additionally, I wish to thank all of the members of our Facebook group Principia Carnivora for experimenting on themselves in good N=1 fashion and sharing their results with the rest of us, so that we call all learn and profit from them. I love you all. As many of my readers know, I am a huge fan of bone broth. I have been drinking it almost everyday since I began my Zero Carb journey 9 months ago. I found it extremely helpful during the adaptation phase while my body was getting used to an all-meat diet. However, I recently made some changes in my Zero Carb diet. I decided to decrease protein and increase fat in an effort to create a Ketogenic version of a Zero Carb diet. But, I continued to drink bone broth while making these changes. While I was successful in lowering my fasting blood glucose and increasing my fasting blood ketones, the changes were only moderate. I was now in nutritional ketosis, but at a very low level.Then, I decided to skip the bone broth for a few days, and the effect on both my glucose and ketones was quite dramatic. After only one day without bone broth, my fasting blood glucose decreased from 85-95 mg/dL to 65-75 mg/dL, and my fasting blood ketones increased from 0.9-2.4 mmol/L to 4.8-6.5 mmol/L. I must admit that this was a very unexpected and shocking discovery. It was also very disappointing because I truly do LOVE bone broth. However, upon further investigation, it was not so surprising. Bone broth contains high amounts of the amino acid glutamine and, apparently, glutamine can easily be converted into glucose.It is for this reason that Dr. Thomas Seyfried, author of Cancer as a Metabolic Disease, recommends limiting glutamine, as well as carbohydrates, to people following a Ketogenic diet for cancer management. Cancer cells can use glutamine for fuel just as easily as they can use glucose from carbohydrates. 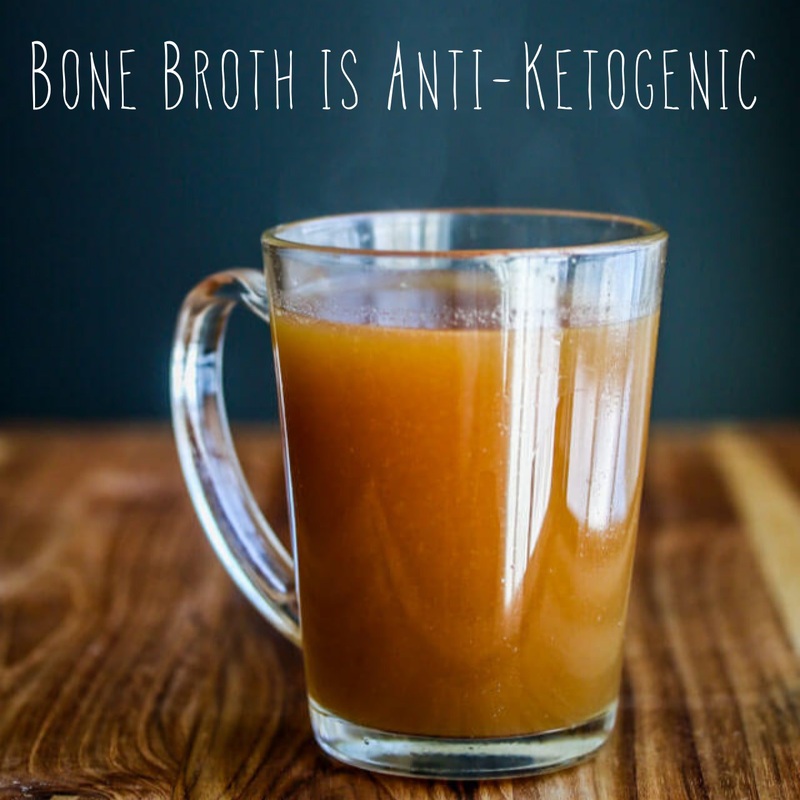 Bone broth has many wonderful healing properties, but it definitely inhibits the production of ketones. Many people choose to drink bone broth during both short and long fasts, but the powerful anti-ketotic effects of bone broth are likely to be highly counter-productive. One of primary benefits of fasting is its ability to lower blood insulin levels, and drinking bone broth during a fast may significantly reduce this benefit. 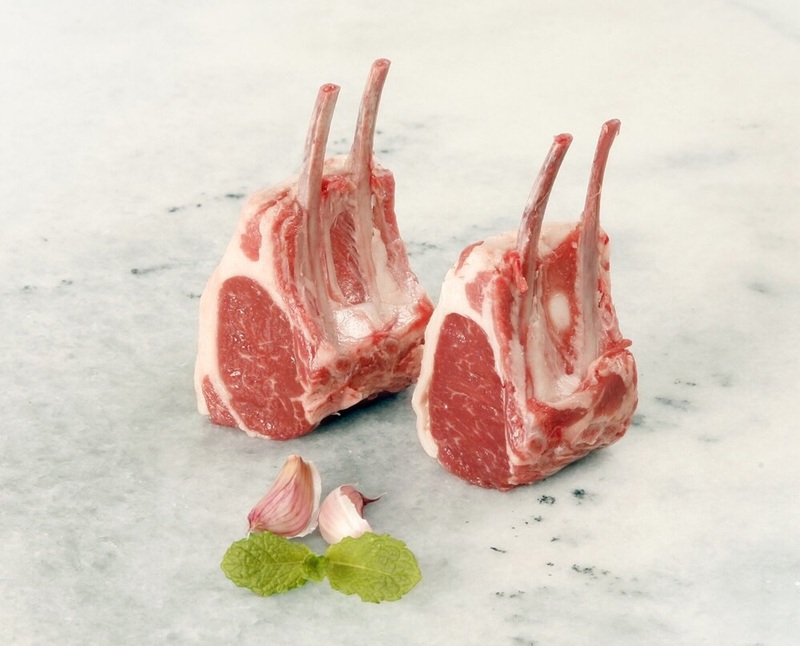 So, if ketones are more important to you than the nutritional components present in bone broth, then you will definitely need to think twice before imbibing bone broth. After I originally published this article, I forwarded it to a few of the Ketogenic experts to get their response. Jimmy Moore’s comment was that a person would have to be drinking “gargantuan” amounts of bone broth to have it affect the blood sugar and ketone levels this way. So, I decided I should clarify that I was drinking 1 quart per day which I do not consider to be a “gargantuan” amount. It is certainly possible that drinking only 1-2 cups per day would have had less of an impact, but I don’t think you can state that categorically without actually testing it. According to Kaayla Daniel, author of Nourishing Broth, 1 cup of chicken bone broth contains 1,000 mg of glutamine. My whole point with this post is to bring awareness to the fact that bone broth may not be as innocuous as many people so blythly assume. 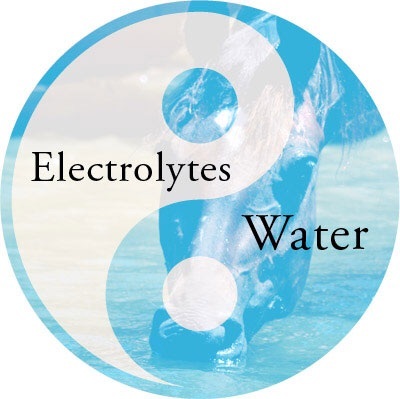 If you are including it as part of your Ketogenic diet, or while fasting, you would be wise -in my humble opinion – to test its impact on your personal fasting blood glucose and ketone levels.